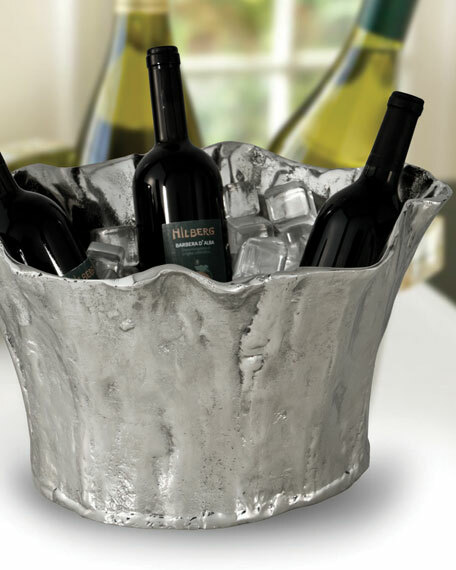 Nickel plated cast aluminum beverage tub. Watertight construction is ideal for cold beverages and raw bar. Food safe and easy to care for. 18"W x 14"D x 10"T.